Teenreads has a pretty great (and extensive!) list of recommended reads for teens - however, many of these books are equally just as good for adults as well. After looking through the entire list, I've sadly, only read 48 of the titles - how many have you read? 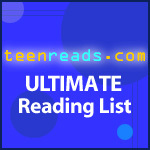 For the complete list, please check out the Teenreads website. Teenreads: One of our goals each month is to inspire you to read --- and to keep reading. We have found that required reading lists for school --- especially summer reading lists --- are not exactly inspiring. Thus we have created what we think is the Ultimate Teen Reading List --- close to 400 titles that we believe are perfect choices for reading and discussing. Our dream is that schools will use this list to help them make their own for summer reading or, even better, suggest that students just read what they want from this list. How did we create our list? We compiled entries from Teenreads.com readers who weighed in with their selections, and we also asked our staffers for suggestions. Titles range from young adult books to adult books that we think would be enjoyed by teens. As part of our commitment to staying current and keeping on top of the latest trends, we’ve recently overhauled the entire list. Books that we’ve added since our last update include a mixture of fiction and nonfiction, plus graphic novels and manga titles, and a few never-before-featured classics. Thanks to all who helped launch this project in 2006, and have continued to participate in it, for spurring a lot of important conversation about books. We encourage you to share this list with your friends, teachers and fellow classmates, as well as your local librarians. Two-time Pulitzer Prize winner David McCullough unfolds the dramatic story of those who marched with General George Washington in the year of the Declaration of Independence --- when the entire American cause was riding on their success. In 1949, on the heels of another literary classic, Animal Farm, George Orwell wrote 1984, his now legendary and terrifying glimpse into the future. His vision of an omni-present and ultra-repressive State is rooted in the alarming world events of Orwell's own time and is given shape and substance by his astute play on our own fears. In these 21 stories from today's top YA authors, you’ll find a full prom spectrum - -- with outsiders, insiders, good dates, bad dates, unexpected dates, and a whole lot more. Authors include Libba Bray, Jacqueline Woodson, Ned Vizzini, John Green, Sarah Mylnowski, Melissa de la Cruz, Holly Black, Brent Hartinger, Lisa Sandell, Will Leitch, Leslie Margolis, Cecily von Ziegessar, E. Lockhart, David Levithan and Dan Ehrenhaft. Jonas is in a safe-house beneath the Brooklyn Bridge. There, he ponders his newfound faith and his specialized training, believing he can change the world. Over the next 31 hours, he will cleanse himself in preparation for the violence he means to inflict upon the city’s crowded subways. Carried by Masha Hamilton’s powerful prose, 31 HOURS is a story about the frantic hope of those who can save Jonas and countless others --- if only they can reach him in time. In his first book for young adults --- a finalist for the National Book Award --- bestselling author Sherman Alexie tells the story of Junior, an aspiring cartoonist growing up on the Spokane Indian Reservation. Determined to take his future into his own hands, Junior leaves his troubled school on the reservation to attend an all-white farm town high school where the only other Indian is the school mascot. Who is Jenna Fox? Seventeen-year-old Jenna has been told that’s her name. She’s just awoken from a coma, they tell her, and she’s still recovering from a terrible accident. But Jenna doesn't remember her life…or does she? And if she does, are the memories really hers? Becoming a legend is not easy, as young Alanna of Trebond discovers when she disguises herself as a boy and begins training to be a knight. Alanna's skills and stubbornness help her befriend Prince Jonathan but alienate his evil uncle, Duke Roger. Filled with swords and sorcery, adventure and intrigue, good and evil, this book is a rousing introduction to the intensely satisfying story of Alanna. Timeless and entertaining, exotic yet simple, this fable breaks down the steps in the journey we all take to find the most meaningful riches in our lives. Santiago, an Andalusian shepherd boy who dreams about finding a treasure in the pyramids of Egypt, shows how along the way we learn to trust our hearts, read seemingly inconspicuous signs, and understand that as we look to fulfill a dream, it looks to find us just the same...if we let it.